How does it feel to be away from your family because it’s the only way you and your family would survive? Behind the ButtonsUp Mushroom Farm (CBN-PH000000189) is Egay, a former domestic helper in Singapore – all of the owners of the business are actually former and current Overseas Filipino Workers (OFW). Egay is a single mom and all she wanted is to be with her family. As we are all aware that there are a lot of pains, struggles and hardships working abroad and away from your loved ones. She dreamt of becoming an entrepreneur and started to attend seminars, but her problem is the capital that she needs to start the business. That’s where the people behind ButtonUp all came in to help their friend to have a business. They built ButtonsUp Farm to be able to help Egay, provide jobs to the community and now they’re able to do that. Coming from nothing, the people behind ButtonsUp knows how hard it is to get to where they are now. They gave back to the community to talk in universities upon invitation to inspire more people through entrepreneurship spirit. How they managed to make a business from nothing and make it profitable, they share it with other people, even their mistakes in the beginning. Grit is what keeps them going, and purely the desire to help people, especially the Filipino overseas domestic helper community. Nolan Ray, who loves to spend time watching documentaries, shared with us about the incredible struggle to deliver the goods to customer even when their place was flooded. 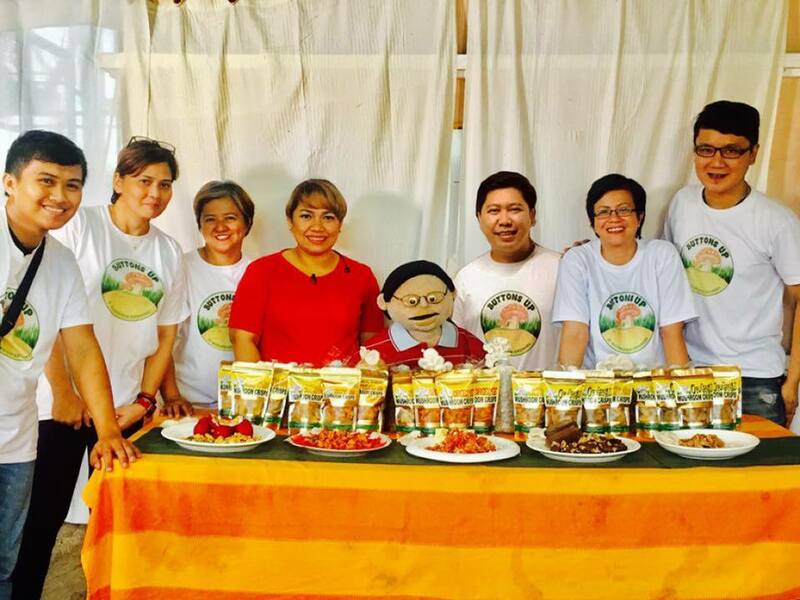 Along with that, another unforgettable moment was when GMA7’s Unang Hiirit, a talk show in the Philippines visited their farm and featured them Live On-Air. People in the farm were all shocked and happy because of the TV feature. 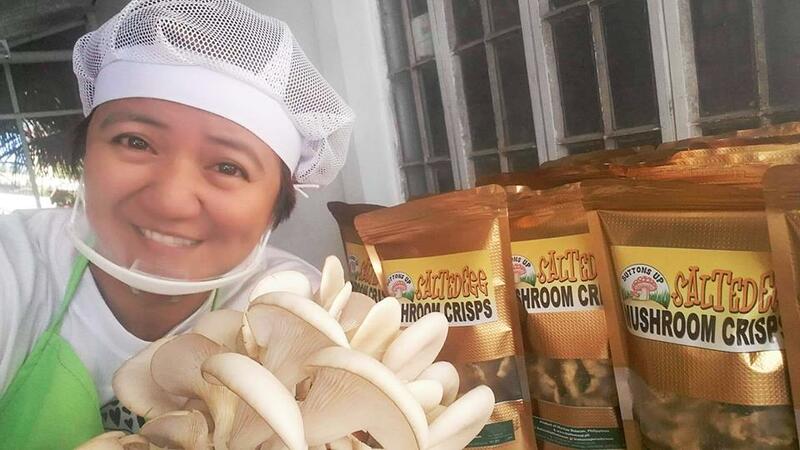 They love the story of Egay, being a former domestic helper and now a mushroom entrepreneur and of course they love the Famous Salted Egg Mushroom Chicharon.